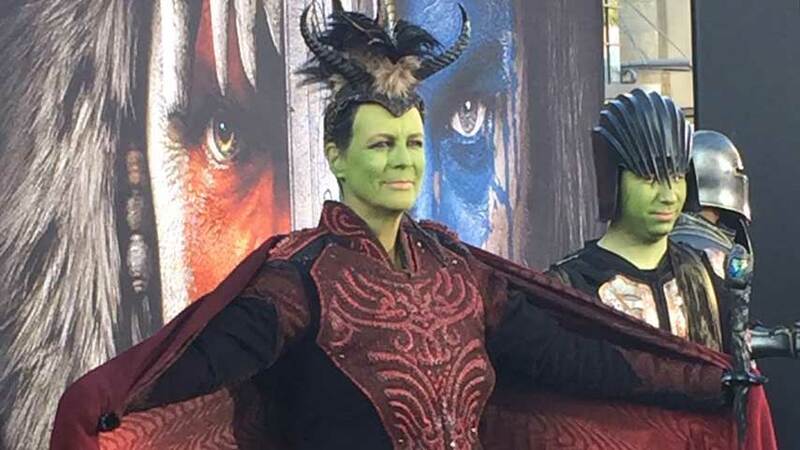 Jamie Lee Curtis has once again donned a costume to attend a video game event. With green skin and a fetching pair of horns, the actor posed for photographs at the premiere of Warcraft in LA. Curtis apparently does this sort of thing regularly. She dressed as Vega to attend EVO with her son, for example, with the mask allowing her to attend without all the fuss of being recognised. The Halloween, A Fish Called Wanda and Freaky Friday star is well known for her love of gaming; she participated in the Video Games Live documentary, for example. Warcraft opens in cinemas around the world today; I myself am off to the local debut in a few hours. Early reviews suggest it’s pretty bad, which means I will enjoy it enormously and is not in any way surprising given how these things usually go and the way this project foundered about in development hell. I promise to do my best not to overdose on Maltesers before I can deliver another stunning movie review.